My Gift for Shopping with ME! Summer is here! I now have the joy if crafting with my kids (lol). So I was researching ways to organize and have a section for crafting just for kids in my limited area. I love these ideas and I couldn't resist sharing!! 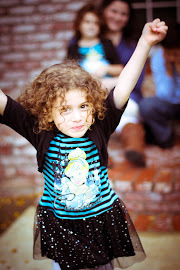 So if you have kids, grabdkids or just love these ideas, snag them (I know I am!!). Perfect for glitters and such, these shakers are easy to find in Homegoods, TJMax, etcetera. This would limit, as well, the amount of glitter my kids could spill at one time (lol). 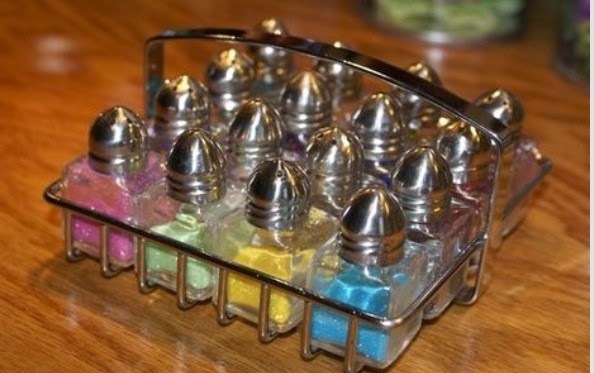 I remember my Nanna having this type of salt n pepper unit for their parties, what sweet memories. I have an unused corner. This would be ideal for kid specific tools and supplies (my retired items, lol). Tucked away but easy to access. I love this I idea!! I see this happening in my future craft area. 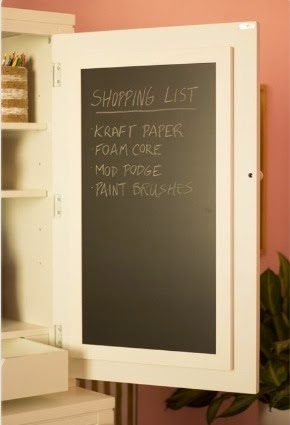 This is a dream for when we add on a craft room. I love the easy access and clean lines. Compact and efficient. 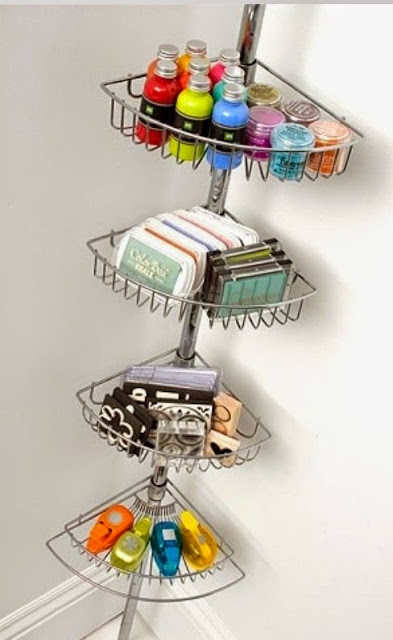 I hope that you enjoyed my craft organizing ideas. 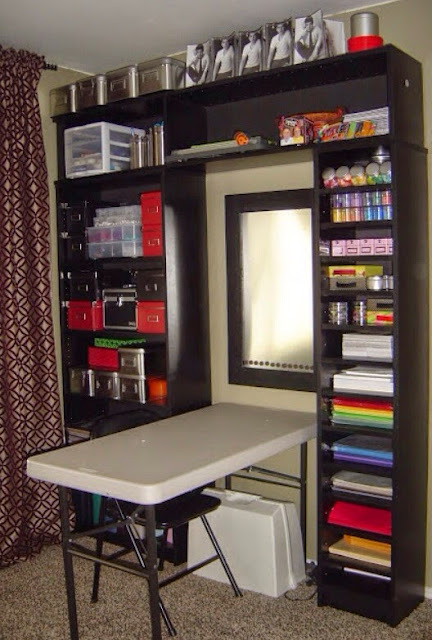 What do you find helpful in your craft room? Leave me a comment and let me know. 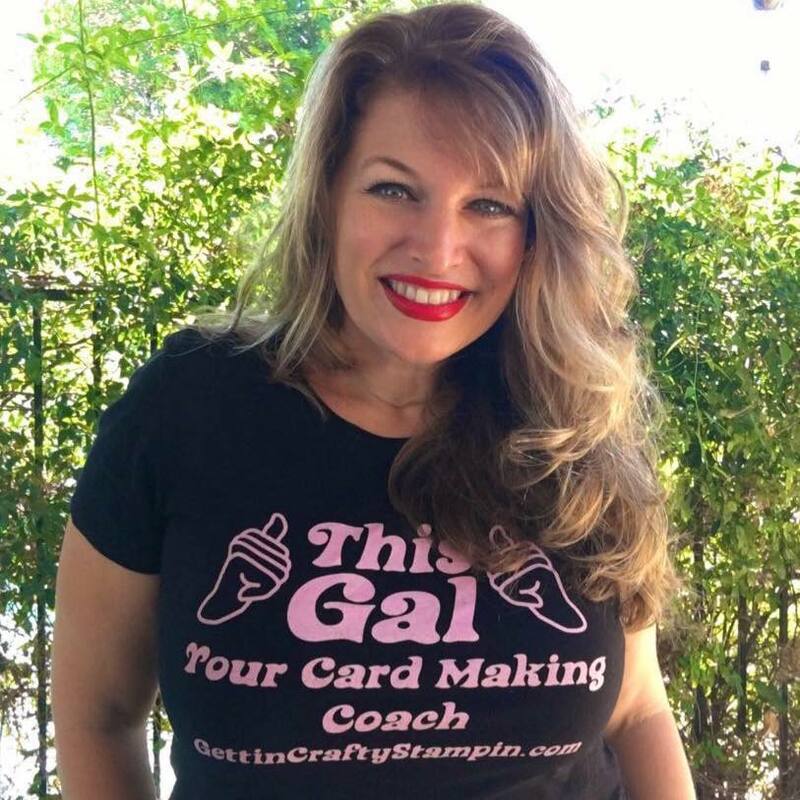 Jamie is so passionate and creative about making cards - and wants everyone else to join her in the fun! She is so encouraging and positive in her attitude, helping me along when I get frustrated - and then rejoicing with me at the finished product! I love going to her classes to get new ideas, learn techniques, and have loads of fun in the process. ~ Christine C.
Jamie has wicked awesome classes! If you don’t like a particular stamp or paper/ink color Jamie wants you to change it to suit your style! I did my sister-in-law’s entire bridal shower from invitations/thank you cards, party favors to decorations, it was quaint and whimsical! Everyone ooh’d and ahh’d! I’ve had lots of special requests for classes and Jamie delivers; she always has tasty treats and flavored coffees too ~Ashley W.
I have been attending Jamie's classes for over a year. Her ideas for cards are fresh and fun. She always tries to have several different styles of cards available, so everyone gets to make cards that fit their personal style. The techniques she shows each class can be used in many different applications. She is very patient teacher when instructing class members on how to use the Stampin Up products. 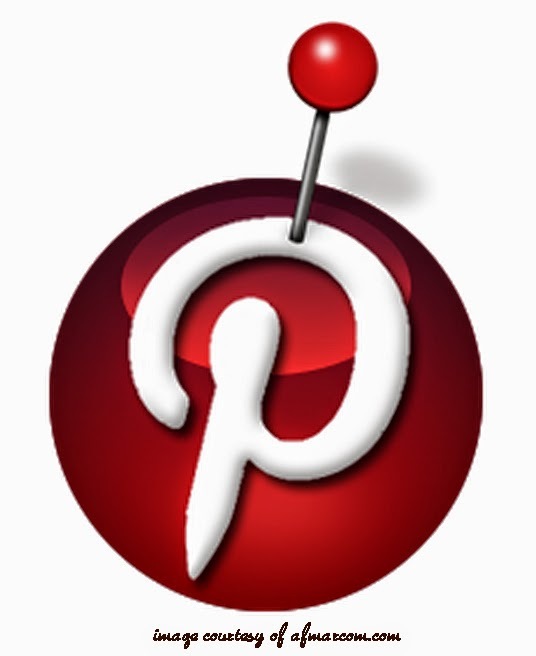 ~ Carol D.
Join the Gettin' Crafty Stampin' Mailing List! Create, Connect, Connect at our One Day Retreat! Create and Connect with me LIVE Twice on Mondays - For FREE! Escape and Create at our Getting Crafty Retreats! 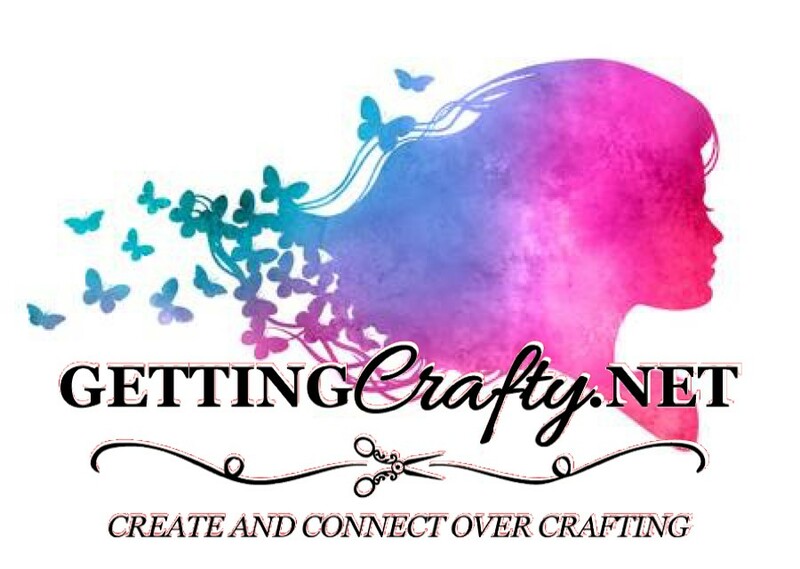 Create and connect with us over crafting and card making with tons of fun and Facebook LIVES of Creating! Calendar... Don't Miss OUT on my Upcoming Events!! FUN to be Had at EVERY Event!! Look here for my Classes and MORE... RSVP for ALL or Any of my events when you click here! 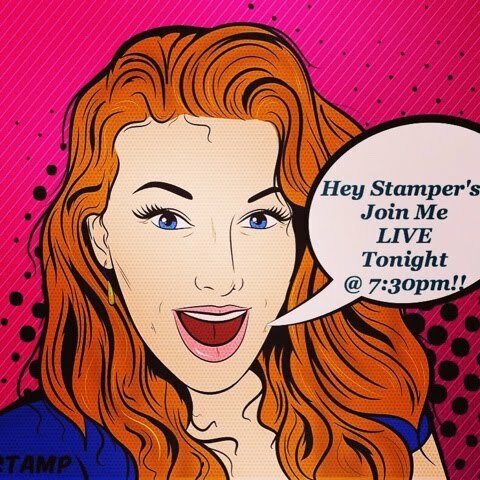 Want some tasty stampin' goodies?? Can't wait to have them delivered to your home... Order NOW when it's convenient for you..
Join Our EXCLUSIVE Getting Crafty Stampers Group on Facebook! We create, share and connect together! 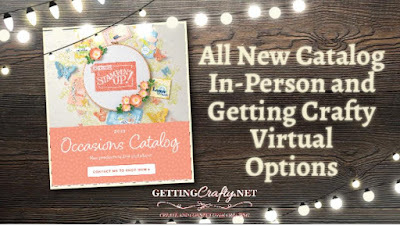 Pick MEE... Join our Getting Crafty Family! 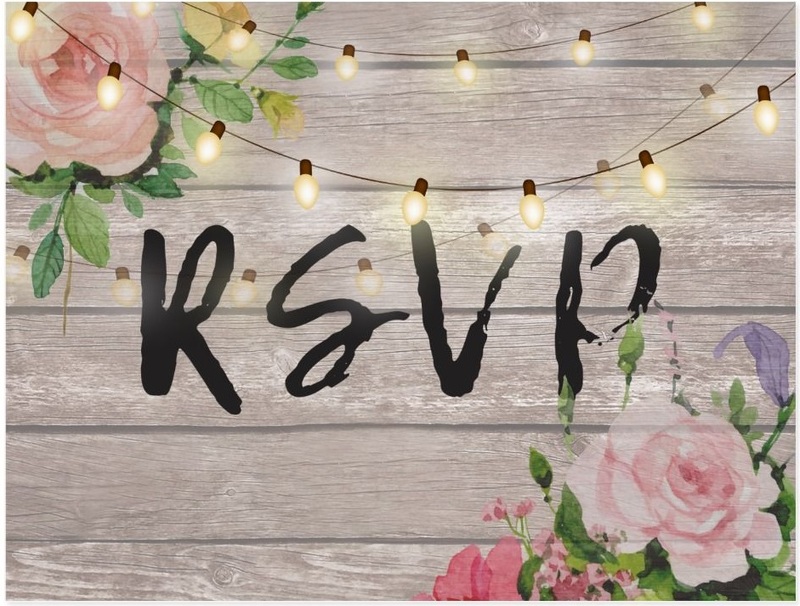 Tons of FUN, join in on a Stampin' Function, See ME for Catalogs, Classes, Soldier Card Events, Join in as part of my Gettin' Crafty Stampin' Demonstrators and MORE... I have a Spot for YOU... let me know Where I can be of Service. Become a Demonstrator!! Start Your OWN Business... from a Hobby Crafter to a Serious Demonstrator! 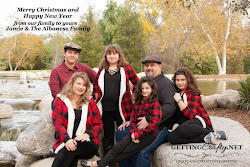 My Family, My Reason WHY... What is YOURS? Want to know more about ME? Where do I come from? How did I get into Stampin' and Crafting? Learn more about me.. and let's find time to get to know one another! Since 1988... Stampin' Up! 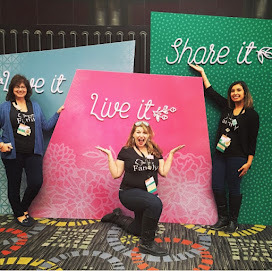 is YOUR Award Winning Stampin' and Craftin' Company! At Stampin Up!, our wide assortment of rubber stamp images, stamping techniques, and designs have been helping crafters (re)discover and express their creativity and share this creativity with others. Click HERE to find out MORE about this Amazing Company!! YOU are WANTED... HELP WANTED!!! Career Plan, Included!! Want a Hobby? Want a Career?? 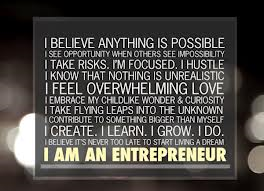 Believe it or not - you can have BOTH and LOVE what YOU do!! CLICK HERE for more info. or to sign up... Want more info?? Contact me at (805)300-3679 or Jamie@GettinCraftyStampin.com ......... WHAT are YOU waiting for?? 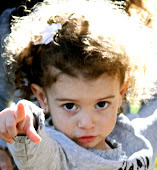 I want you for my team!! Creative Escapes waiting for YOU! Fall in love with Fall Card Making! So many blessings to create and celebrate! Jamie has wicked awesome classes! If you don’t like a particular stamp or paper/ink color Jamie wants you to change it to suit your style! I did my sister-in-law’s entire bridal shower from invitations/thank you cards, party favors to decorations, it was quaint and whimsical! Everyone ooh’d and ahh’d! I’ve had lots of special requests for classes and Jamie delivers; she always has tasty treats and flavored coffees too!~Ashley W.
Crafting is sending me to Thailand! I'm blessed beyond measure. 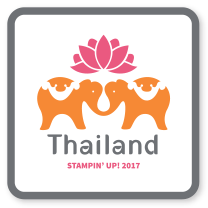 I'll be heading to Thailand with my husband thanks to my business in Stampin' Up! Join the fun, make amazing connections with others and go on amazing trips! 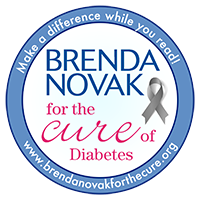 Support Author Brenda Novak as we fight Diabetes!! 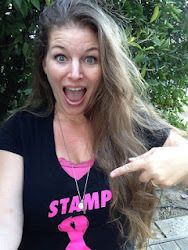 I am an independent Stampin Up! Demonstrator and I am solely responsible for this blog. Stampin Up! does not endorse the use of this blog or it's contents. All product use on this website is © Stampin' Up!-unless otherwise noted. All items on this blog including text, photographs and concept design works Original artwork and content shared on this blog are for your personal use, inspiration and enjoyment only and may not be copied for publication or contest submission. Thank you. We would like to thank you for popping by and visiting our site! Have a Rockin' day! !